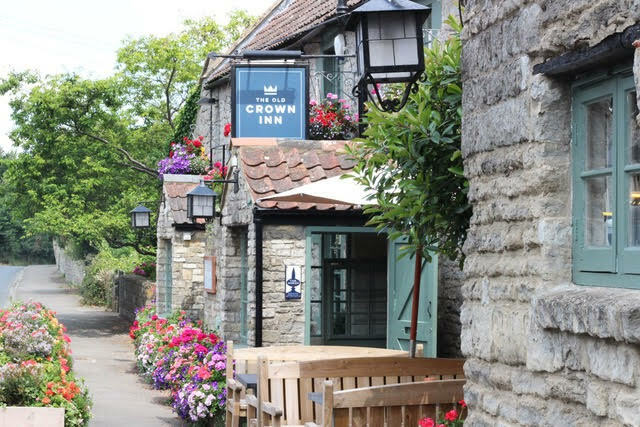 If you’ve yet to take our advice and make The Old Crown (situated on the Bath-Bristol road that passes through the picturesque little village of Kelston) your second home this springtime, there’s now yet more reason to get with the programme. For a start, the pub is celebrating Pie and Pint Month (yup, a whole month!) this April – enjoy a homemade pie and a pint for just £10 for 30 days. Tuesdays, meanwhile, are all about Prosecco: fancy fizzing your way through a whole bottle for half the usual price during the daytime or evening (or both!) on one of the dullest days of the week? You know where to come! Fridays, meanwhile, are just made for fish and chips – enjoy a full-on fish’n’chip feast plus a pint for just £12, lunch and dinnertime, to start the weekend off in fine fishy style. And if that isn’t enough tasty news from the OC, hear this: the first Wednesday of every month is BBQ time! Set in the pub’s gorgeous, award-winning garden (complete with cosy Garden Lodge and heated alfresco tables) top notch BBQ feasts will be served between 5-7pm. The small print: if you’re planning on eating at the OC, booking is advised, especially for BBQ feasts. Meanwhile, a couple of easygoing T&C’s apply to offers and deals; contact info@oldcrownkelston.com or call 01225 423032 for more information. Search our restaurants, pubs, and coffee and sandwich shops by type, by cuisine, by name or by location - just click on the links at the top to get started. want to list your place? Check out the membership information or visit join us to sign up to the Pig Guide.